Hartford community partners are welcome to submit a brief project proposal by February 27, 2019. See examples of completed and current projects. Not sure about the exact wording? Contact us to discuss your ideas or request help in writing your proposal. After review by the Action Lab, your proposal will publicly appear online (see further below), to help us match you with interested faculty fellows and students. 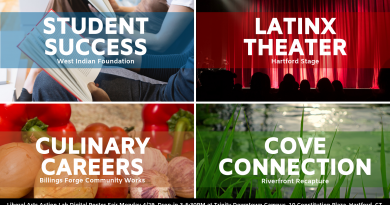 Hartford partners are broadly defined to include neighborhood groups, non-profit organizations, government agencies, social entrepreneurs, and others, who seek to improve the city or its role in the metropolitan region. Must be available to meet with the team at least once a month (either Tues, Wed, or Thurs afternoons, or Weds evenings) at our downtown campus. We will contact you after the Hartford Resident Advisory Board prioritizes proposals in early March and again after teams are formed in early April.